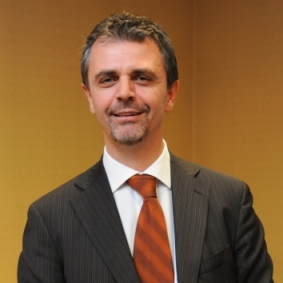 Andrea Galeazzi, director of network services at Italian payments and technology infrastructure company SIA, has taken up a new role as chairman at Italian telecoms firm Emmecom. The move is part of SIA’s acquisition of the smaller firm, which took place in July and forms a key part of its European expansion plans. Founded in 2000, Italy-based Emmecom offers communications services over fixed, mobile and satellite. Based in Milan and Brussels, SIA is active in payments, e-money , network services and capital markets across 40 countries. With Emmecom, SIA plans to create a single technology infrastructure at European level to gather up card payments data generated by POS terminals and deliver it to bank authorisation systems in every European country. The idea is to have a simpler link between merchants and banks, helping rationalise the various domestic networks for the collection of POS payments. SIA plans to use a web portal to monitor the flow of transactions through various different channels, and produce statistics and reports that reflect how POS terminals are being used. Giuliano Preda, chief executive at Emmecom, will remain in his current position to ensure business continuity. He will be implementing the SIA 2013-16 strategic plan, which involves developing SIA’s business by expanding into the cards markets and into connectivity services. SIA will also launch new network solutions for remote monitoring, based on machine to machine technology, which allows devices such as sensors, probes or video cameras to be controlled remotely and status reports transmitted directly to central information gathering points. Galeazzi has been at SIA since 1995. He has held his current post of director for SIA’s network services division since 2009.